It’s a new challenge at As You See It! It’s a color challenge of flirty flamingo, crushed curry and black. I decided to do a stripey background using the required colors. Then I stamped the sentiment, die cut it and backed with a piece of crushed curry before popping it up on the base. A few flirty flamingo hearts and I was done! Supplies: CS: SU! white and crushed curry. Stamps: PTI distress stripes. RC shine from within. Inks: SU! flirty flamingo and crushed curry. Memento black. Dies: PTI linen impression plate. MFT double stitched rectangles. Other: SU! enamel hearts. Welcome to a new challenge at As You See It! It’s theme week and the theme is fresh! I stole directly from the image and did a “sweet” little card with strawberries. I stamped the image in wild wasabi and Sahara sand and then colored in with my pencils. I die cut the image and then popped up over a stripe of pattern paper and cream cardstock. I added the sentiment and was done! Supplies: CS: SU! vanilla cream, whisper white, and crumbcake. Lawn Fawn perfectly plaid Christmas. Inks: SU! Sahara sand and wild wasabi. Memento black. Colored pencils. Dies: MFT mini scallop stitched rectangles. PTI linen impression plate. Stamps: SU! fruit basket and basket of wishes. It’s a new challenge at As You See It! Amanda has given us a challenge to use five things on a card – and these were a bit tough to put together! I started with a single tree that I die cut into a square. Two of the five down! I ran the card front thru a woodgrain embossing folder and then added a masculine sentiment. Four down, one to go! Finally, I added the card front to a navy card base and the challenge was complete. A clean and simple card for Father’s Day! Supplies: CS: SU! white and night of navy. Inks: SU! crumbcake, old olive and pear pizzazz. Memento black. Dies: SU! woodgrain embossing folder. MFT mini scallop stitched squares. PTI linen impression plate. Stamps: SU! totally trees. CB message me. Hello! Welcome to the House of Cards end of term blog hop! Be sure to hop to each of the other DT members and enjoy their beautiful creations! This hop will run from June 1 at 6:00 AM CST through June 15 at Noon CST. Any card style is welcome and we have this gorgeous photo inspiration for your crafting enjoyment! 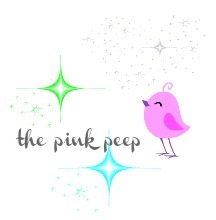 You may be just starting the blog hop or have come from Em's Blog! 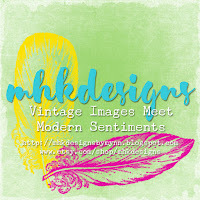 Today I am using this wonderful poppy image from MHK Designs. I used my colored pencils to color the poppy border. I backed the sentiment with some so saffron paper and then popped up on the card base. The poppies look luscious in real life! Thanks for stopping in! Your next stop is Karen's Blog! For all the details – be sure to visit House of Cards! Prize winners will be announced on June 20th. Card winners will be announced June 15th.